Just a short smartphone Video... I will post a version with better audio & video when it’s arranged and mixed. In this video all was sequenced with the Deluge. The drums are sample based and played also with the Deluge´s internal sampler. 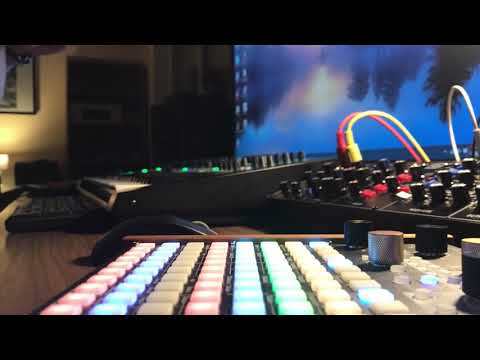 Model D plays the bassline, Promars the arp and Juno 106 the pad. System 8 and Model D are routed through the Deluge for sidechain compression. I will work this track out soon when I find some time. …. one question: is it possible to export all stems in any way??? Visit me also on Soundcloud, Facebook and Beatport, where you can find my recent releases. I really love this juicy "low fi" sound, if I may call it like that. I would be curious how it sounds with less drums or half tempo drums? THX.... will try out, maybe for a bridge/break part... there are tons of tracks still missing to produce an interesting song. But I think the melody is it worth to continue…. can you tell me if I´m able to export single tracks after arranging ???? You can just mute all other tracks and record/resample each track separately .